Glasgow, Aug 22 (IANS) Second seed Lee Chong Wei of Malaysia suffered a shocking defeat to Brice Leverdez of France in the first round of the Badminton World Championships here on Tuesday. The 34-year-old Malaysian, who has finished second three times, lost 19-21, 24-22, 17-21 to the 31-year-old Frenchman, ranked 31st in the world, reports Xinhua news agency. 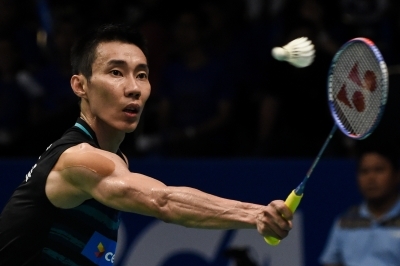 Lee, also a three-time Olympic silver medallist, started this season with his fourth win in All England Open but lost to arch rival Lin Dan of China for two consecutive tournaments, the first in the final of Malaysia Open, and the second in semi-finals of Asia Championships. Leverdez won his only major world trophy at the 2013 Scottish Open. He will next take on the winner between Misha Zilberman of Israel and Zvonimir Durkinjak of Croatia. Next: Can Nehru Memorial house other PMs' memorials?